Milon in Washington DC: Milon The Mad Men Secretary. 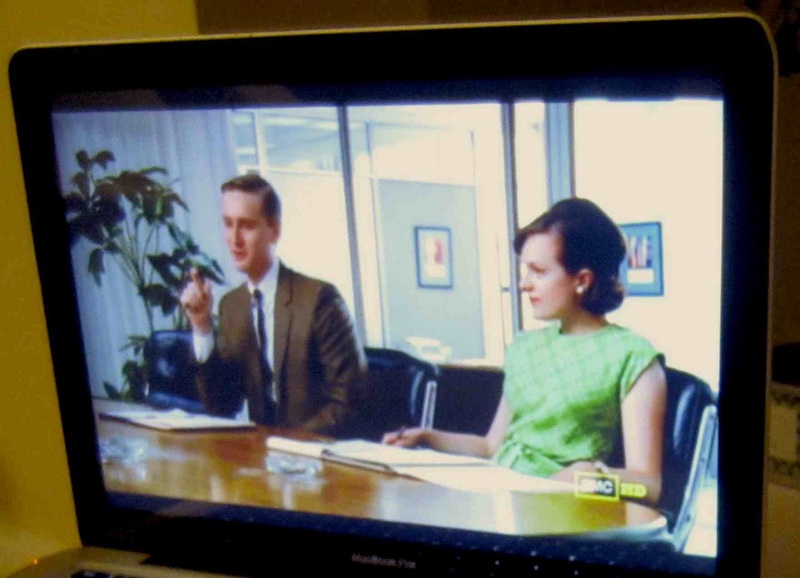 Milon The Mad Men Secretary. Supervisor: Hey, Malin, do you know how to type? Me: Type? Yeah. Or, what do you mean exactly, "type?" Supervisor: I mean, on a typewriter. Me: Ehh, I guess so. I used to play with my dad's old typewriter all the time. Me: Yeah. But, do you even have a typewriter? Supervisor: Yes, I think so. I'm pretty sure I've seen one. Me: I'm sure you have, some time back in the 80s or 90s!? But my supervisor was completely correct and, in a corner, we found the big, grey device that has been hanging in there until this very day. "I always say, you never know when you need a typewriter," to quote the company's CEO and yes indeed, that very day I actually needed it. I felt like I was in an episode of Mad Men as I sat there with the clickety clack sound. Although, there was no bourbon and my dress attire was not nearly as neat as Joan Harris's (but the again, when would it ever be?). I really wish I would type more often. On a real typewriter. It was kinda' fun, I tell ya'!